Take Exit 5-B onto George Washington Way in Richland. Travel north about 5 miles. Turn right on Sprout Road, just past Hanford High School. Turn left on Crimson Way (formerly University Drive) to enter the campus. The East building is the first and oldest building on the WSU Tri-Cities campus. 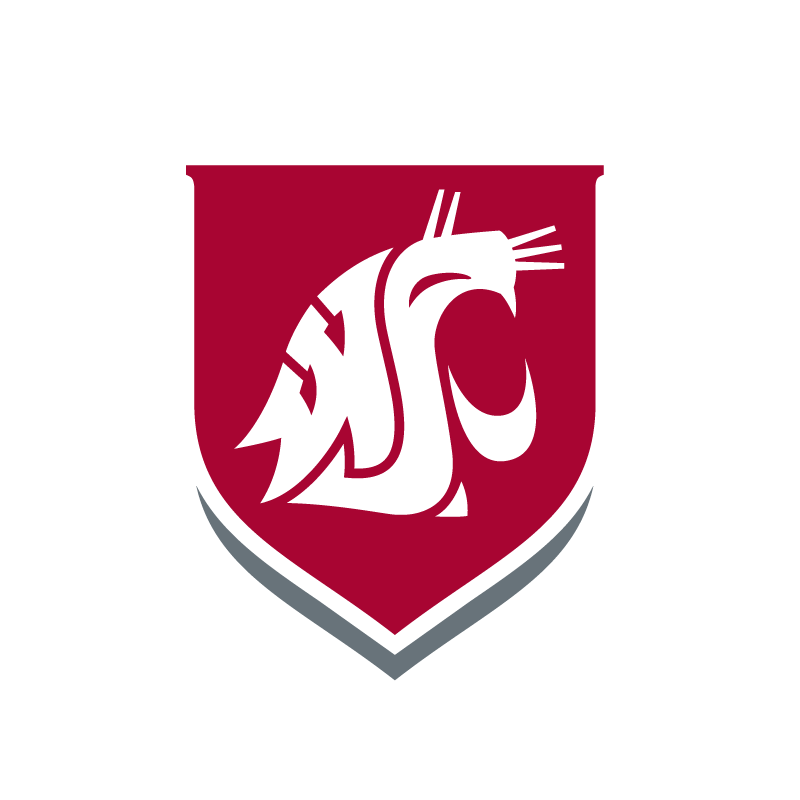 The Tri-Cities campus began as the Joint Center for Graduate Study in July 1958 as a collaborative effort among WSU, the University of Washington and Oregon State University. In 1967, the Richland School District donated 84 acres to provide a permanent home for the facility. Construction began on the East Building in July 1967. The building was finished in one year, and in the fall of 1968, the first classes were taught by 79 adjunct faculty members to 380 students. The West building is connected to the East building by two corridors, one each on the first and second floors. It houses many of the student service facilities. Its architectural highlight is the atrium, a large windowed room overlooked by the second-floor balcony that faces the east lawn and Columbia River. In the atrium are flags that represent the nationalities of our international students and strings of 1,000 cranes, called senbadzuru, folded by students on our campus. Press meetings, academic symposiums, art receptions and performances often are hosted in this location. $24 million research and teaching laboratory features a number of construction features which contribute to making the building more energy efficient, including improved wall construction, roofing, high efficiency boilers, day lighting, and window shading on the west- and south-facing walls. 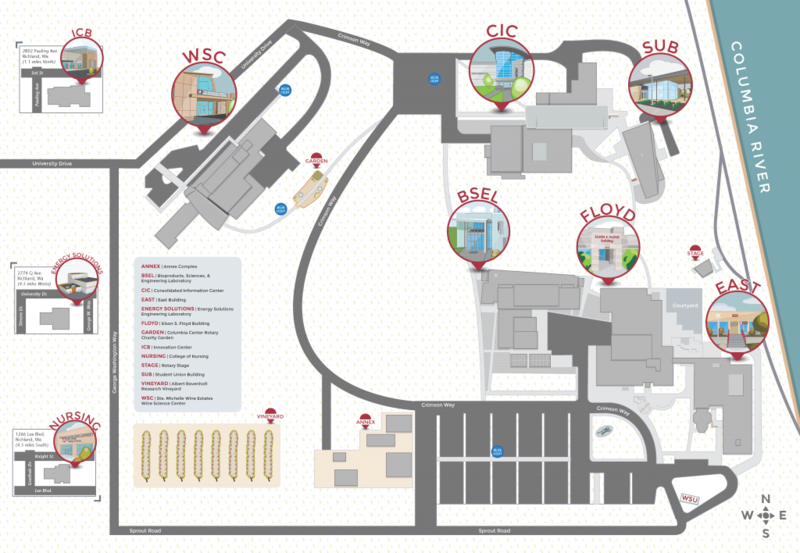 The state-of-the-art Wine Science Center was developed in close partnership with the wine industry. This teaching, research, and extension facility is among the most technologically advanced wine research and education facilities of its kind in the world, transforming the Washington wine industry with cutting-edge science in the tradition of its forefathers, Dr. Walter Clore and Dr. Chas Nagel.